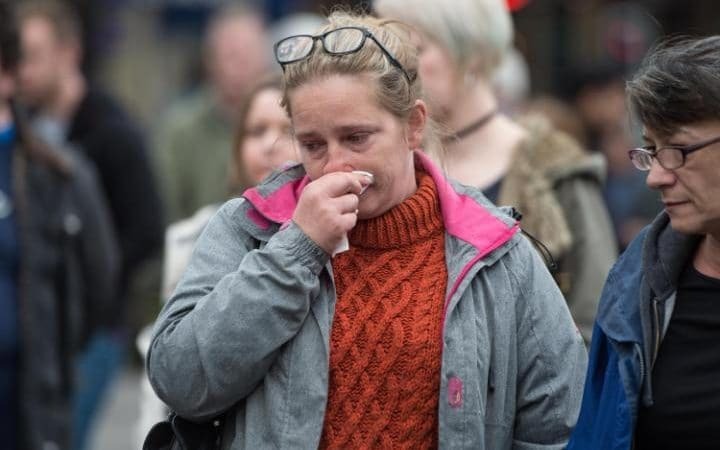 Vigils were also held in London, Glasgow, Birmingham, Belfast, Coventry, Liverpool, Sheffield, Newcastle, Bolton, Swindon, Leeds and Tarleton in Lancashire, where the vigil was attended by the mother of victim Georgina Callander. Georgina lived in the village and another of the victims, eight-year-old Saffie Rose Roussos, went to school there. A minute’s silence followed words from mayor Andy Burnham, Manchester Chief Constable Ian Hopkins and poet Tony Walsh, many of which moved members of the crowd to tears. 20-year-old Maddie Aimsworth was working at the Arena last night, but her shift on the bar had ended a few minutes before the end of the concert, meaning she happened to leave before the explosion. 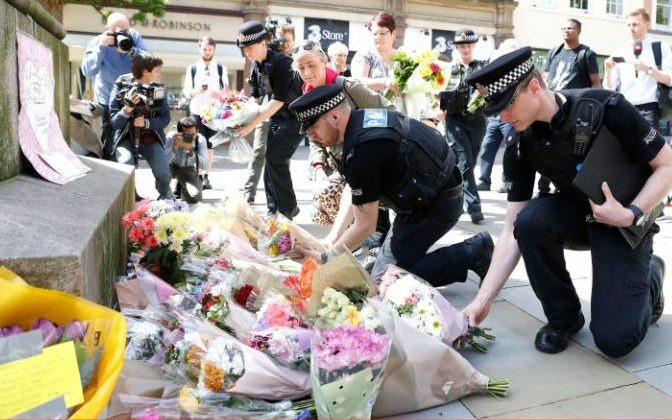 Like many of the people who had come to the square, Maddie had come to lay flowers on the steps of Manchester town hall. 14-year-old Sarah Gallagher came to the vigil with her mother Maureen. Several of her friends were at the Arena on Monday night, and though thankfully none were hurt, it has rocked her community to the core. “I wanted to come to show I’m not scared,” she told the Telegraph. “It feels like an attack on all our young people,” her mother added. 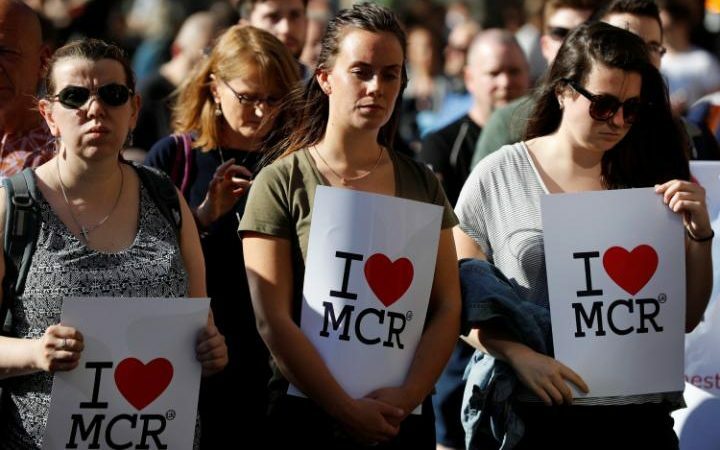 “Every young person in Manchester was attacked on Monday night, not just the ones in the arena. “Their voices need to rise up now to make sure this never happens again. The square fell silent as they remembered the lives of those who died. 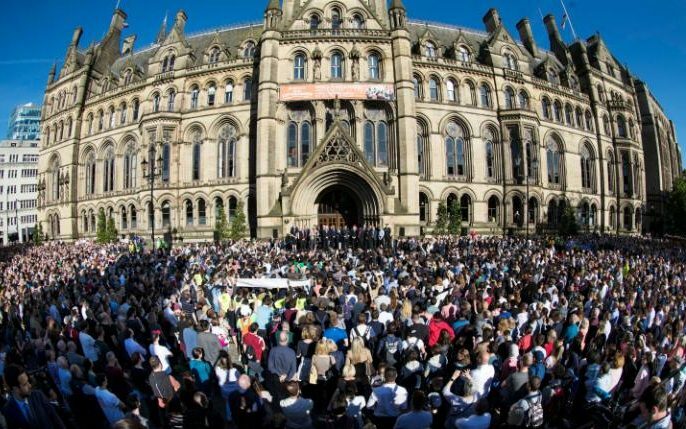 Poet Tony Walsh performed a touching ode to Manchester called This Is The Place, which sparked ripples of laughter, lightening the mood as the sun beamed on the Town Hall. He described the city as “ace”, hailed its “brilliant music” and ability to “make things from steel” and said Mancunians “make people laugh” and “welcome”. Hundreds of people, including young children, gathered in George Square in Glasgow for vigil organised by Glasgow City Council. A two-minute silence was held before a wreath was laid by Lord Provost Eva Bolander. Others who had gathered placed candles, flowers and a teddy in the square. The council said the people of Manchester were among Glasgow’s “closest friends” and the union flag flew at half-mast above the City Chambers. Ms Bolander said: “This was the height of cowardice and truly evil. Among the crowd of around 200 people in George Square was Joanne Toward and her daughters Carly, 10, and Kayla, six. She held back tears as she said: “It’s heartbreaking. Carly is at the age where she wants to go to concerts and things, it’s just too sad. 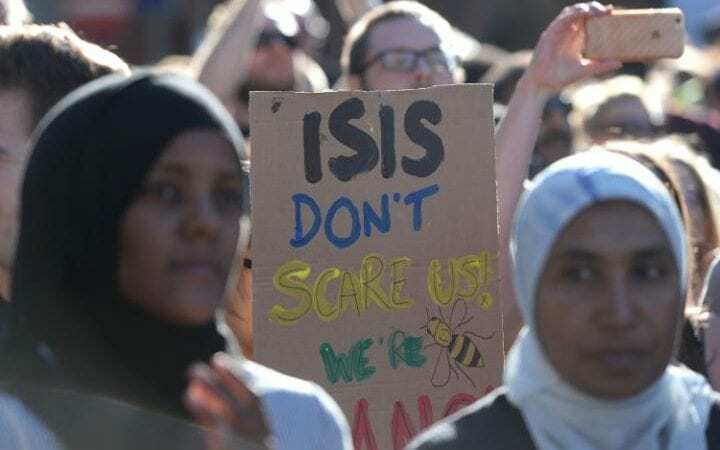 Council leader Susan Aitken said Glasgow had faced a terrorist attack 10 years ago at the city’s airport and that citizens would support the people of Manchester. Ms Aitken added: “This (attack) is very close to home in a city that we have a great deal in common with. 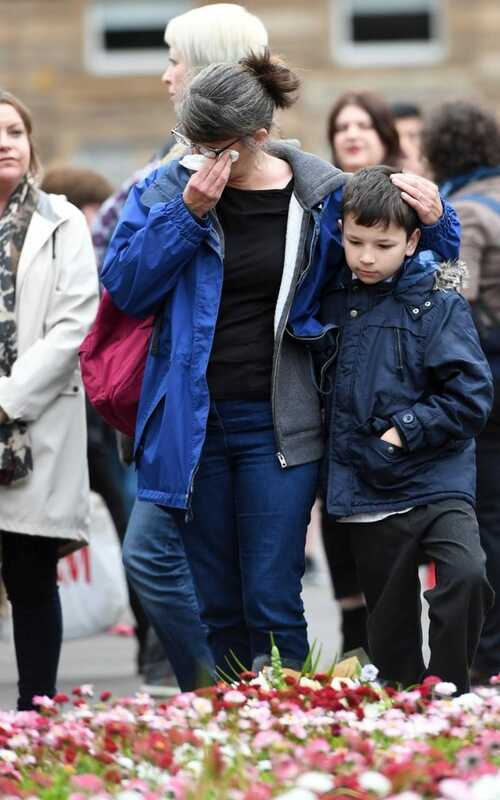 Thomas Kerr attended the vigil because he wanted to pay his respects. “I was in tears this morning when I found out that one little girl was eight – my little sister is just seven and that really hit home. Two teenagers from Barra remain unaccounted for and at least four people were treated in hospitals in Scotland, none with life-threatening injuries, after the attack. A candle-lit vigil in Birmingham in memory of those killed in the Manchester Arena bomb attack was cut short after a man believed to be armed was detained nearby. 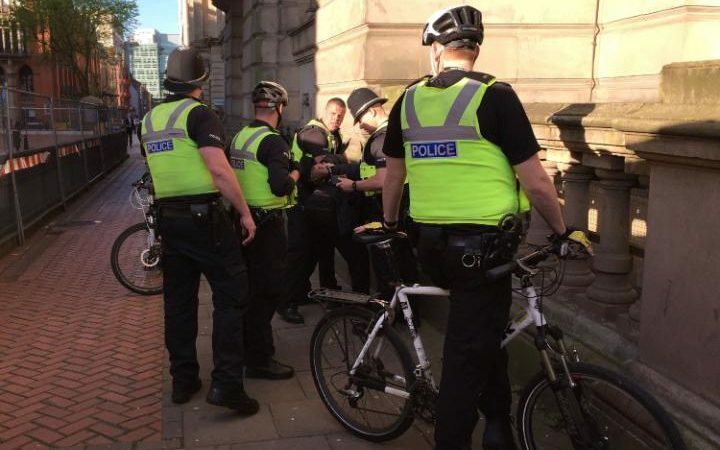 The man shouted out as he was handcuffed and led away by officers with West Midlands Police, just a short distance from where 1,000 people had gathered in the city’s main Victoria Square. As he was taken away in a riot van in Edmund Street, which runs behind Birmingham’s council house, a police sergeant could be seen carrying away what appeared to be a bat and a hatchet. Speakers who had been paying tribute to the Manchester victims were interrupted by the man’s loud protests, from down a side street. Police, including armed response officers, then cleared the square a short time later. The force’s chief constable David Thompson – who had been attending the vigil in an official capacity – witnessed some of the incident. He confirmed the evacuation of the square, in front of the council house, had been a precaution. 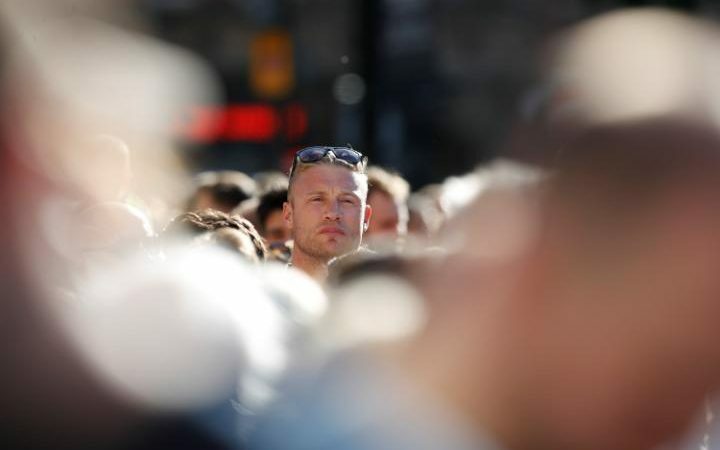 The man, who was black and had a short-trimmed bread, was stopped just two hundred yards from the packed square at about 7pm, where mourners had earlier been lighting candles. It took several officers to restrain the man, who was then dragged away along the street, before he was placed in the back of the police van with his head bowed. The man was initially stopped at a police cordon at the corner of Chamberlain Square, near a side entrance to the local authority building. 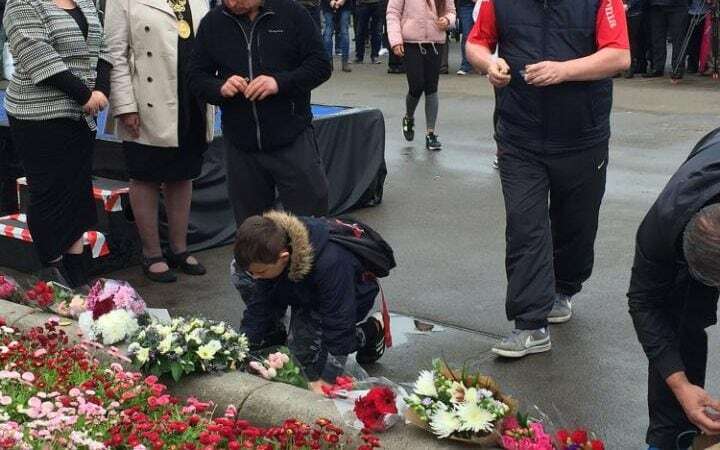 Several civic dignitaries including West Midlands Metro Mayor Andy Street, and the police and crime commissioner David Jamieson, had been attending the vigil. Also present were city politicians Jess Phillips, Jack Dromey and city council leader John Clancy. Vigils held across the country for Manchester terror attack victims 0 out of 5 based on 0 ratings. 0 user reviews.